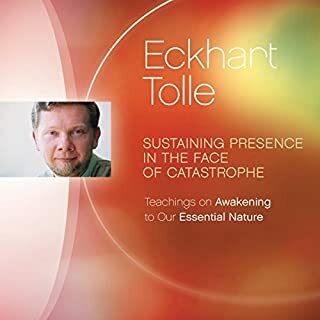 To be human is to suffer - and yet, according to Eckhart Tolle, all of these painful moments contain an opportunity for awakening. 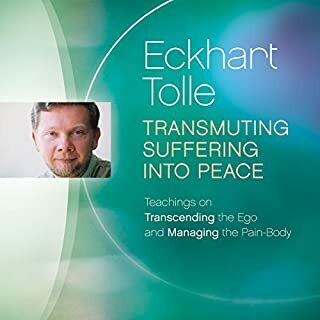 In Transforming Suffering into Peace, this celebrated teacher offers a new perspective on the ego and what he terms "the pain-body" - all the accumulated emotional wounds that follow us through life. 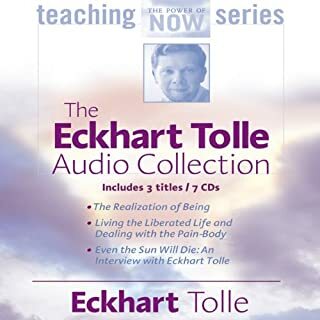 Though the pain-body can easily rise up and hijack our consciousness with unpleasant emotions, in this program Eckhart reveals a hopeful truth - by turning the light of awareness on our suffering, that suffering becomes a powerful gateway to Presence. Awakening from this dream, explains Eckhart Tolle, starts by coming into a new relationship to the present moment—and discovering who we are beneath the noisy surface of our lives. 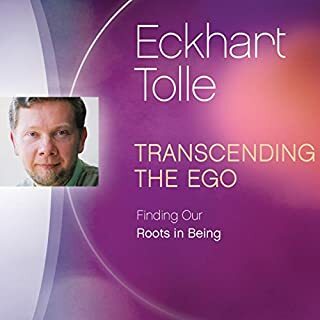 Recorded at Riverside Church in New York City, Transcending the Ego offers Eckhart's helpful pointers for realizing what he calls our "being nature"—our deeper identity beyond the personal sense of self. 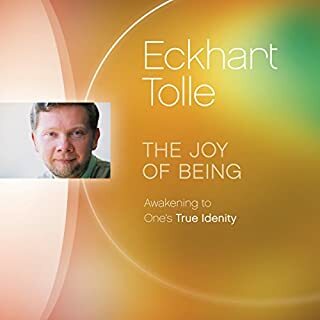 Session one explores the arising of a new consciousness on the planet, and how more and more of us are beginning to experience a shift from an egoic, thought-based identity to the realization of what Eckhart calls our essential "Being" nature. 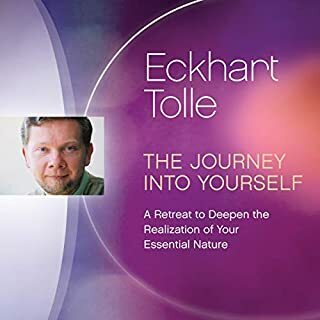 Session two offers a practical look at how this emerging awareness impacts our relationships, as well as the steps we can take to welcome "the vertical dimension" of space and stillness as the source of true connection and harmonious relationships. 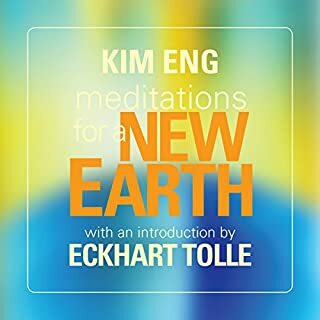 Best received after reading "the power of now" and "a new earth" enlightening and helpful. 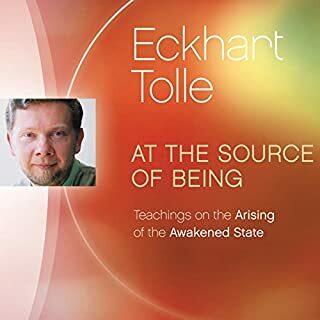 A must to be included in your awakening! Stated so well - simple examples of real life experiences and relationships. Feel the freedom of space. 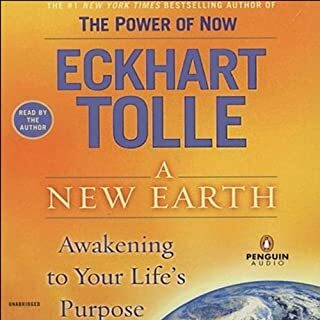 I loved what Eckhart Tolle had to say in the books, The Power of Now and A New Earth, I consumed and relished them and sought out book club discussions on the topics years ago when they were first released. 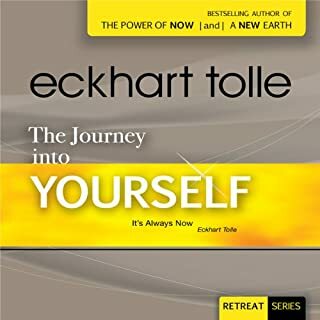 When Oprah had her podcast series with Eckhart I listened to it over and over. But though the message has always been something that feeds my soul, his delivery in the audio books were a somber. These audio speeches are AMAZING! I love that while not reading directly from a book, he has a sense of humor and that in itself, has brought the message a new tone that everyone can relate to. I finished this audio and began to play it from the beginning again. Not only is it delightful but it fills in the gaps that the books I mentioned above lacked. amazing book!! I would recommend this to everyone and anyone seeking a big change in their relationships! 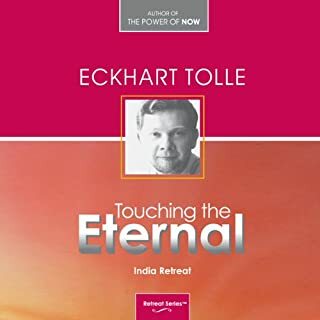 Eckhart not only points to the way, his Conscious state of being in the moment allow the words to flow through him, whereby you too experience being in moment, NOW. A must read for Intuitives and those frustrated by relationships with others. Insightful and thought provoking. 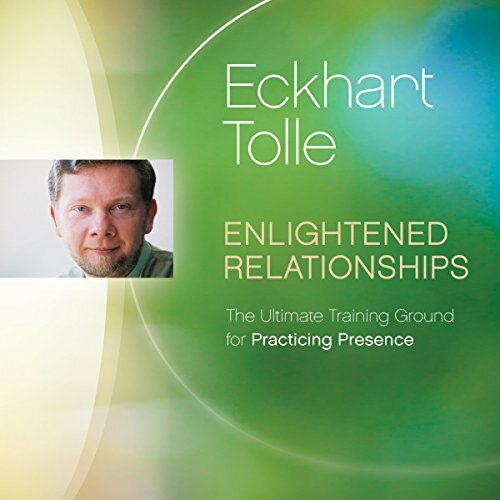 covers all relationships, family work, marriage and yourself using the presence of the now. I w I uld recommend it to anyone wishing for successful interactions with the world. Ready to see through all illusions? Do you seek more? In your life, have you achieved so much so far, but, still feel some, or maybe a lot of, discontent? You have survived, but know there is something missing? Be still, listen to this short but profound talk and you will have taken the key step towards rediscovering life. 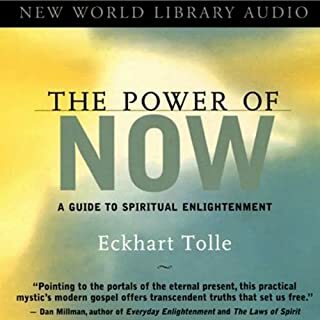 The power of now was the first book I read that opened my mind to this profound yet simple concept. This book is yet again an example of tolles magic. He loves and breathes the now. He has these profound thoughts to share but ground them in his quirky silly self. I’m amazed that I can go from having to pause to process to laughing uncontrollably. He’s like a spiritual comedian and this book brings so much depth in terms of viewing ourselves and more importantly our relationships. 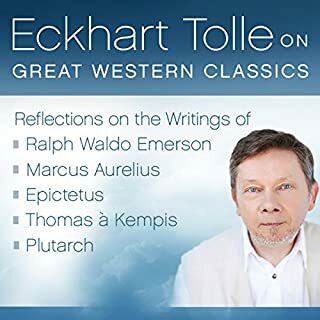 This audiobook was very well done. it was enlightening, funny, and entertaining. 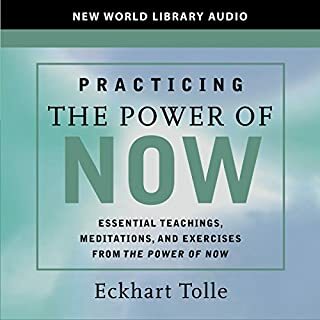 It is a great companion to The Power of Now. Existing fans of Eckhart Tolle will not be disappointed here. Nor would I expect newcomers to be either. It is instantly accessible to both. Tolle speaks in his usual relaxed tones and with plenty of humour. It would be virtually impossible for anyone not to identify with his experiences of relationships. Of course, this is tied in with how relationships, particularly familial and intimate ones, are absolute leaders in pulling unconscious behaviour patterns to the surface. It's a humbling listen and there's many a wry smile to be had... perhaps a chuckle or two. The vibe of the room is captured simply and makes this an enjoyable reminder of the power of presence. I highly recommend it to everyone. That's why that beautiful laughter escapes every now and then . I love these so much! Thank you Eckhsrt these retreats are real life changers! Highly recommended. 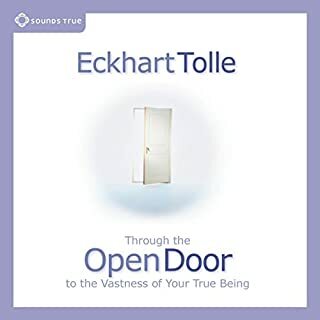 Eckhart has cuanged my life. and my soul....embrace him. can anyone fault what he says? Coming from a tough break-up and relationship that switched from the pain body and space, this talk has helped tremendously in understanding the self. Would definitely recommend!